RT Postal has all your services to promote your business, organization, schools, offices, with our 25 years of experience of door to door marketing. 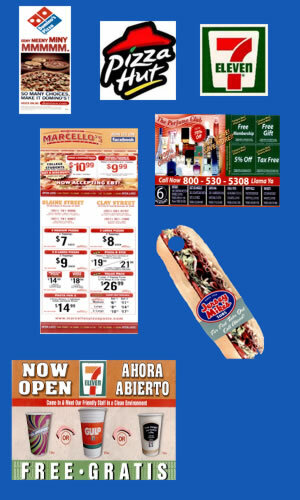 We have great door to door flyer program that can tailor to your budget to maximize profits. Our services include door to marketing, door to door flyer hangers, pamphlets, brochures, advertisements, newspapers, marketing programs, special grand opening marketing. RT Postal can serve you the following cities, Mira Loma, Corona, Riverside, San Bernardino, San Diego, Los Angeles, Chino, Perris, Palms Spring, Inland Empire, Southern California, Northern California, California. At RT Postal we provide top notch service at fair market pricing. We place emphasis on quality control, timely delivery, delivery management monitoring and complete follow up service to achieve maximum benefits to your business. Our goal is to assure the best result for you and your respective clients.